These two lovely ladies having name placards, making my job much easier. 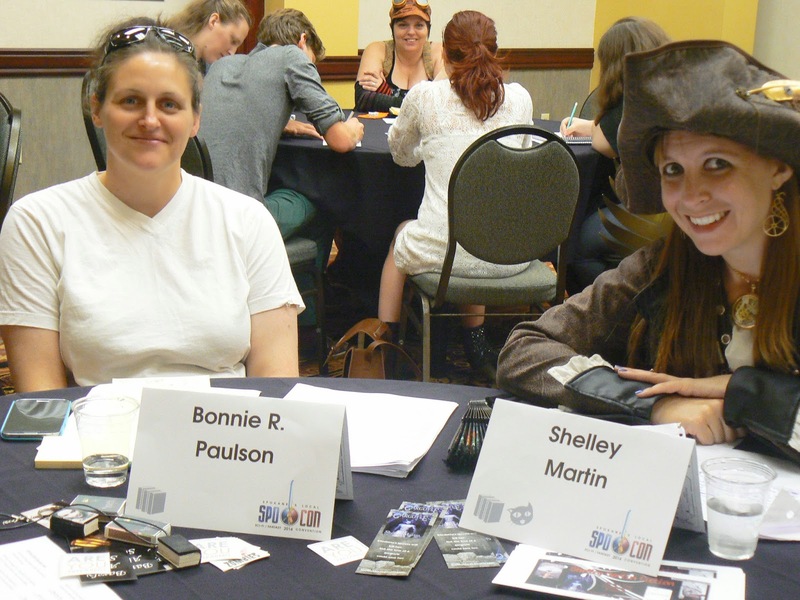 Bonnie and Shelley are both author, and I was lucky enough to speak on panels with both of them. 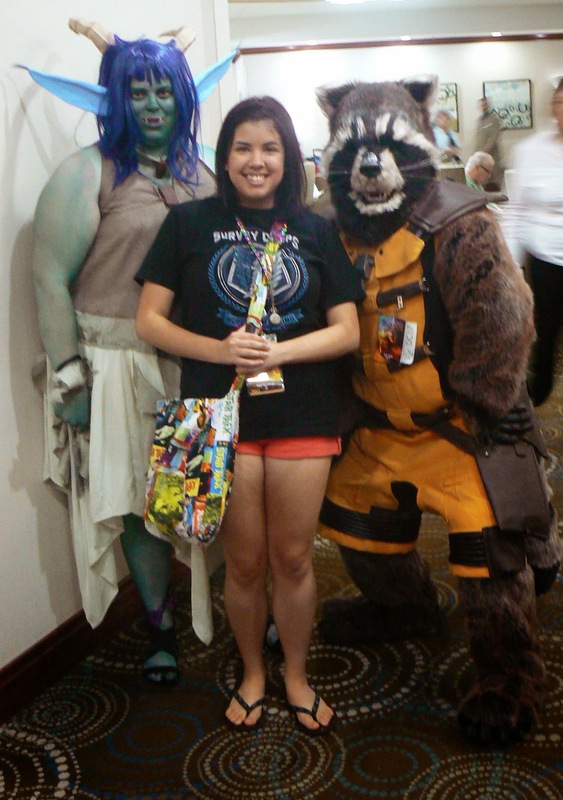 They’re also fellow Idahoans–which, let me tell you, is a surprisingly rare thing to find at SpoCon! Spokane is just across the border from Idaho, so you’d think it would be crawling with Idahoans, but that’s just not the case. Okay, let me talk about these two for a minute: Frog and Esther Jones. 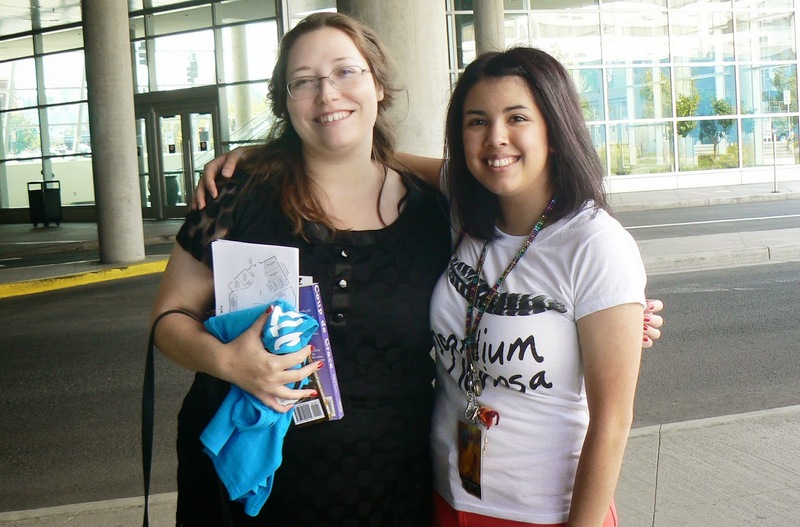 I met Esther at my very first SpoCon, before either of us had published any books. 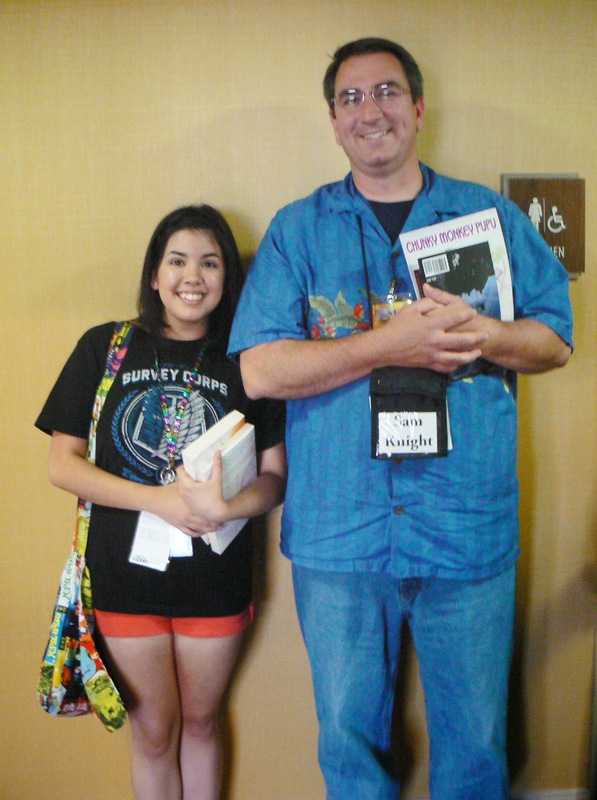 We were both finalists in the SpoCon writing contest, and we met at a sort of early-morning breakfast event. Naturally, I adored her. 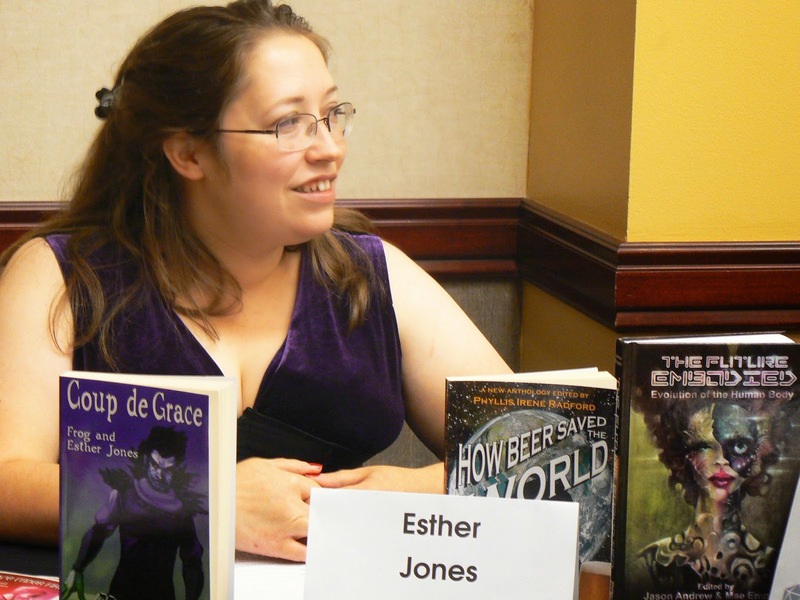 There’s not a living person who doesn’t adore Esther Jones, because she’s actually perfect. The next year, I met her husband, Frog. (No, his parents were not so cruel as to actually name him Frog, but that’s what everyone calls him.) Frog and I are basically the same person. He’s a riot, by the way, and I never have more fun at SpoCon than when I’m on a panel with him. 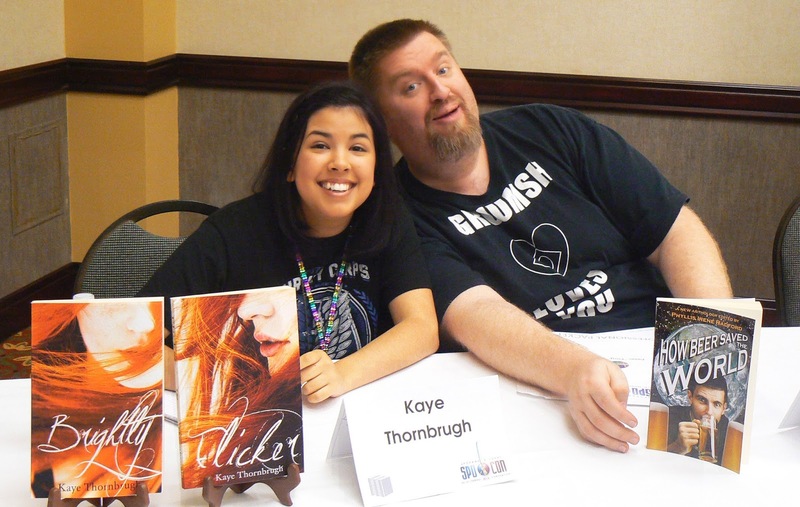 Anyway, Frog and Esther are co-authors of the Gift of Grace series, an urban fantasy series that I highly recommend. The first two installments, Grace Under Fire and Coup de Grace, are out now. 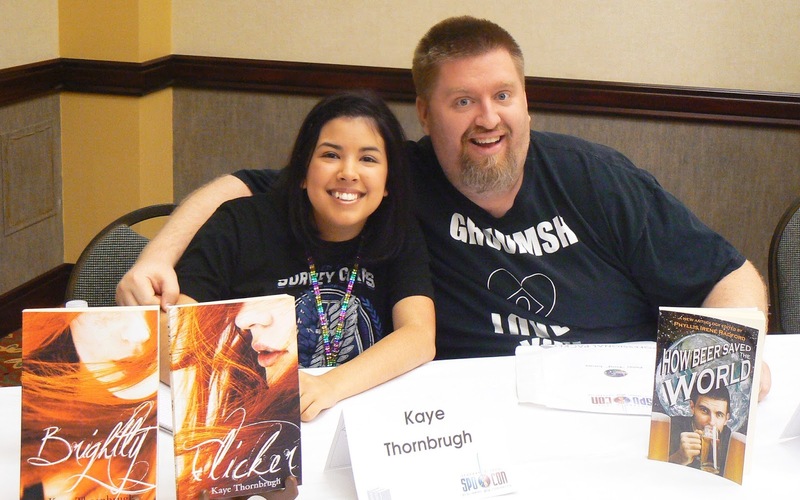 They also run the Friday Indie Review, where they–you guessed it–review indie books. This is Sam Knight. 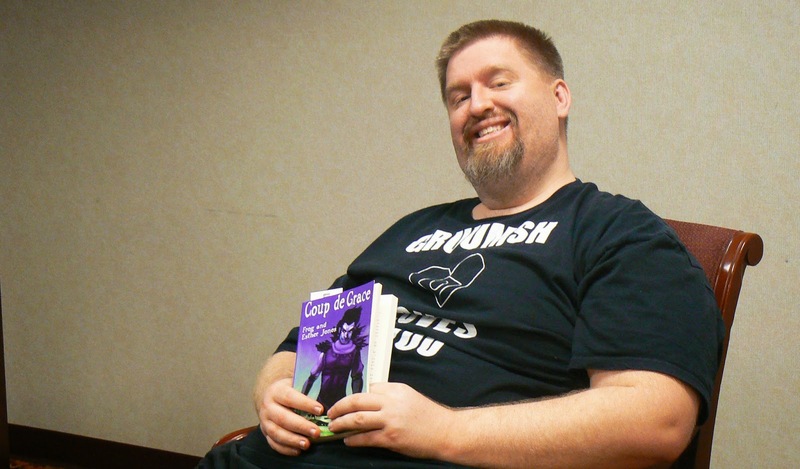 I met him at RadCon earlier this year, and let me tell you, it’s been a wild ride ever since. He came all the way from Colorado, which seems like a lot of effort to me. (I like my conventions conveniently located. Like, no more than one state away.) 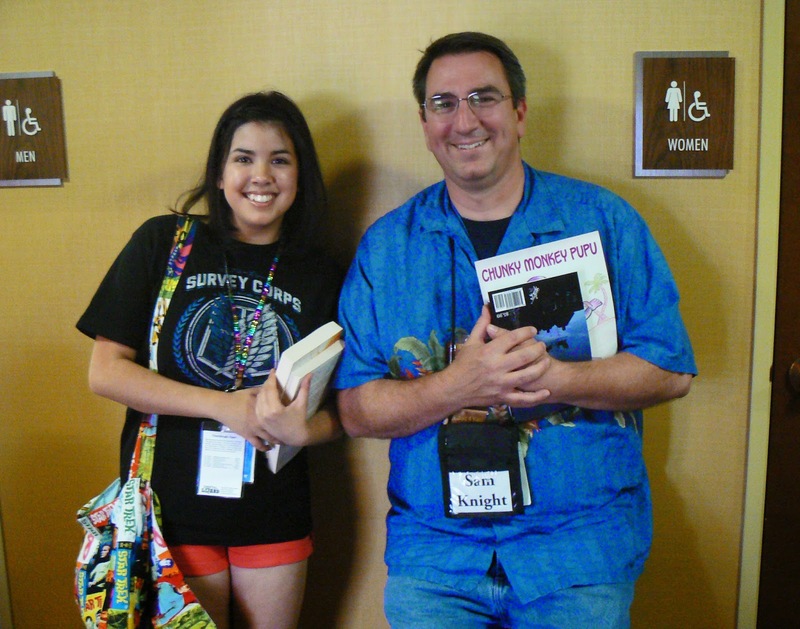 I got to listen to more his pearls of wisdom on our Self-Publishing 101 panels, and the two of us palled around outside a bathroom afterward. That’s how we roll. Look at this little moonbeam. Her name is Aascot, and we’ve been Facebook friends for some time. 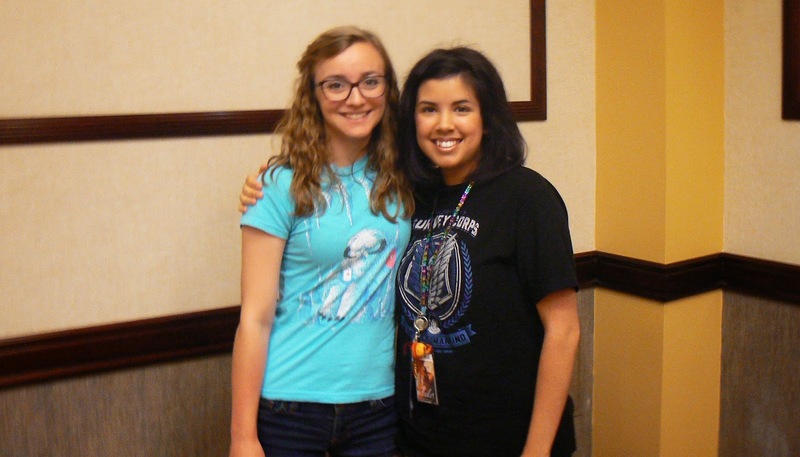 But we didn’t meet in person until last weekend, when we met up at SpoCon! I could not have prepared for how cute and tiny she turned out to be. There’s something really special about meeting Internet friends–in particular, that moment when you finally get to hear their voice! Well, that just about sums it up. I’m already getting excited for next year!